Bed and Breakfast Lake Geneva, welcome to the Lazy Cloud Lodge & Inn. Conveniently located just 1 1/2 hours from Chicago and 1 hour from Madison or Milwaukee, we are in the beautiful Lake Geneva area. Nearby, guests can enjoy nationally acclaimed golf courses, wonderful restaurants, great shopping, and most of all, Geneva Lake. After a pleasant day in town, retreat to Lazy Cloud where everything is designed with couples in mind. We have two different types of accommodations in two different locations. Our ten room bed and breakfast is located in a secluded area just tem minutes west of Lake Geneva with three acres of beautiful gardens. 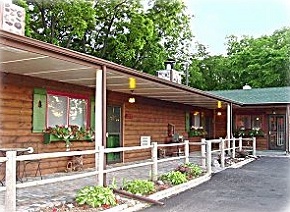 Our nine room Inn is located on Hwy 50 just two minutes outside of Lake Geneva. Every room and suite has a whirlpool tub for two with a wonderful view of the fireplace. The unexpected is the norm, with little touches like candles, bubble bath, complimentary wine and chocolates all adding to the romantic ambiance. 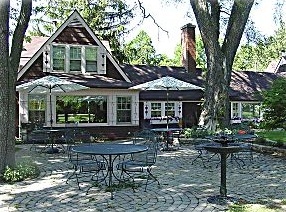 This and other Lake Geneva Bed and Breakfast Inns can be found here online in The Register.